TripleMeter, Tuner from PSP Audioware. 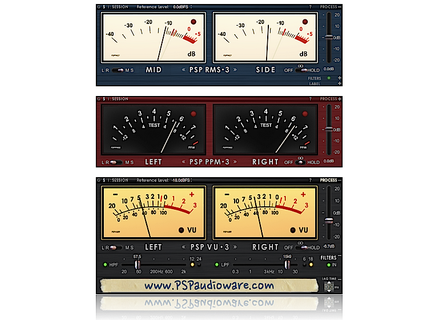 The three meters in TripleMeter are completed with features like calibration, trim faders, filters and you even get a label strip which is practical when you use multiple instances of the plug-in. 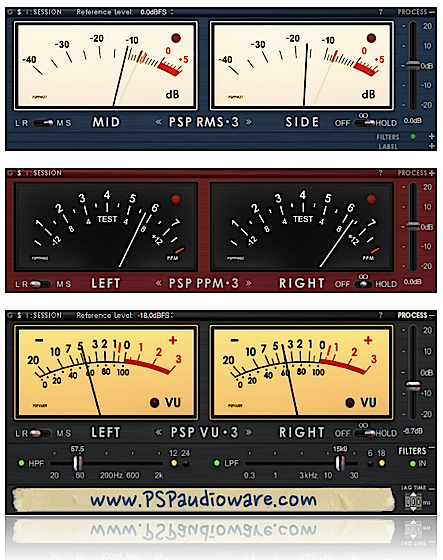 The PSP Audioware TripleMeter is a VST, AU, RTAS and AAX 32 and 64-bit plug-in for Mac OS X and Windows. It is available for the introductory price of $19.99 (excl. taxes) until February 16th, regular price is $29. A trial version can be downloaded from www.pspaudioware.com. 3 Voxengo freeware plug-ins updated Voxengo has released updates for its free Beeper, MSED and Stereo Touch plug-ins. New Sonic Arts bundles its plug-ins New Sonic Arts introduces the special priced New Sonic Suite bundle, which includes its three Vice, Granite and Nuance virtual instruments. Updates for the IK pianos for iPad IK Multimedia is about to release on the AppStore two updates for its iGrand and iLectric pianos for iOS devices.